Scarlett Johansson defended her casting as the cybernetic hero Motoko Kusanagi in the live-action remake of “Ghost in the Shell” in an interview on “Good Morning America” on Tuesday. Johansson has been faced with months worth of criticism for taking the starring role in the remake of the classic anime franchise, which some see as another example of an Asian character being whitewashed to appeal to a larger audience. But Johansson told “GMA” host Michael Strahan that the crime-fighting Kusanagi is an “identity-less” character because of her nature as a cyborg, which is where the series gets its title from. A similar argument was previously made by Mamoru Oshii, the director of the original 1995 “Ghost in the Shell.” He shared ScarJo’s vision of the character, saying that Kusanagi doesn’t truly have an ethnicity as her body is only a shell and that her name and appearance aren’t what is essential to the character. 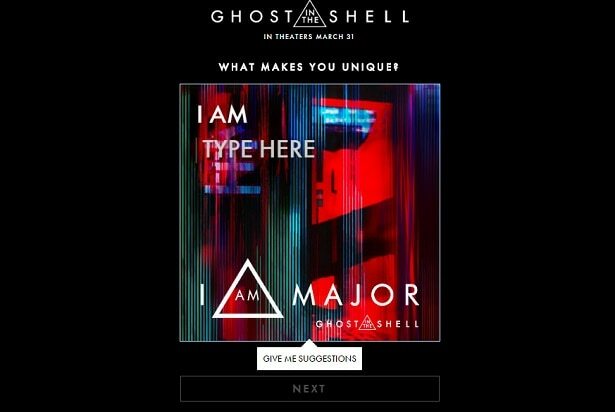 “Ghost in the Shell” hits theaters this Friday. Watch Johansson’s GMA interview in the tweet below.